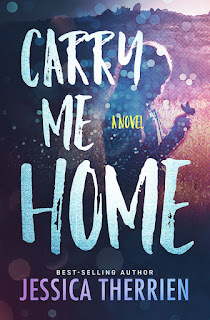 CARRY ME HOME is a fictional novel inspired by the true story of a teenage girlâs involvement in several Mexican gangs in San Jose and Los Angeles. The members of her crew call her, Guera, Spanish for âwhite girlâ and it doesnât take long for her to get lost in their world of guns and drugs. Lucy and Ruth are country girls from a broken home. When they move to the city with their mother, leaving behind their family ranch and dead-beat father, Lucy unravels. They run to their grandparentsâ place, a trailer park mobile home in the barrio of San Jose. Lucyâs barrio friends have changed since her last visit. Theyâve joined a gang called VC. They teach her to fight, to shank, to beat a person unconscious and play with guns. When things get too heavy, and lives are at stake, the three girls head for LA seeking a better life. But trouble always follows Lucy. She befriends the wrong people, members of another gang, and every bad choice she makes drags the family into her dangerous world. Told from three points of view, the story follows Lucy down the rabbit hole, along with her mother and sister as they sacrifice dreams and happiness, friendships and futures. Love is waiting for all of them in LA, but pursuing a life without Lucy could mean losing her forever. Ultimately itâs their bond with each other that holds them together, in a true test of love, loss and survival. For the most part, I remember my childhood as dry weeds and dirt roads, warm sun and birdsong. The silky coat of a mare and filth of pigs in mud. Eighty acres of ranch land is an endless playground for any kid. And in those naÃ¯ve years it was easy to ignore the beer on my fatherâs breath as I skipped off to fetch him another. My motherâs weepy eyes were nothing to ques-tion, because I didnât know any better. But time chisels away that purity until thereâs nothing left but truth. Neither one of my parents is happy. At seventeen, Iâm ready to leave. The ranch of my youth is a wasteland of empty, overgrown pastures and rusting barbed wire fences. Much like their marriage, itâs tired and used up. Thereâs nothing left to give. Tonight, the air feels heavy. I can smell the tension in the ever-present cigarette smoke. At first the rising pitch of their voices doesnât bother me. Iâm used to them fight-ing. But my heart seizes when I hear him yell, and when Dadâs words become a throat-scratching, red-faced shout, my sister, Lucy, sneaks into my room. My bedroom has always been a sanctuary for her on nights like these. She doesnât say anything. She doesnât have to. We just listen to the rage as it filters through the walls. âIâm going out there,â she says. If she were younger Iâd stop her. Iâd take her little-girl hand and lead her into the quiet closet like I used to, but sheâs fifteen now, and thereâs no stopping Lucy from doing anything. My only choice is to follow her. I find her frozen in the hallway, stiff-legged as a terra-cotta soldier. Mom is just as still, back pressed against the far wall of the kitchen. Dadâs bloodshot eyes are wide and crazed. Wispy pieces of thinning, grey hair have come loose from his short ponytail. Heâs pacing our living room, whisky glass in one hand, a rifle in the other. 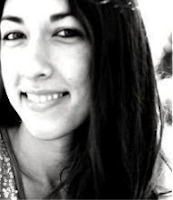 Jessica Therrien is the author of the young adult series Children of the Gods. Book one in the series, Oppression, became a Barnes and Noble best-seller shortly after its release. Her trilogy has been translated and sold through major publishers around the world, such as Editions AdA (Canada), EditionsMilan (France), and SharpPoint Press (China). Aside from her Children of the Gods series, Jessica is the author of a kidâs picture book called, The Loneliest Whale. Her award-winning stories can also be found in a published anthology of flash fiction. Jessica currently lives in Irvine with her husband and two young sons. She is working on an adult novel and a middle grade fantasy series.